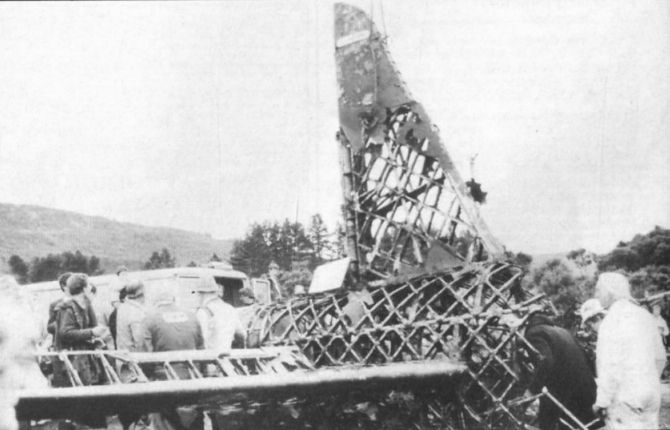 The wings and centre fuselage of Wellington N2980 shortly after it emerged from Loch Ness on September 21. 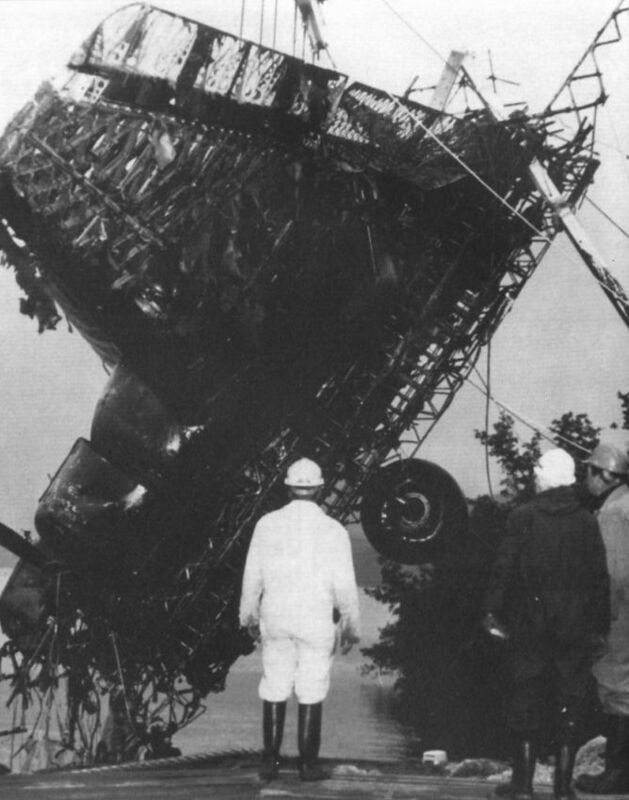 It is about to be lowered onto the flat barge in the foreground. 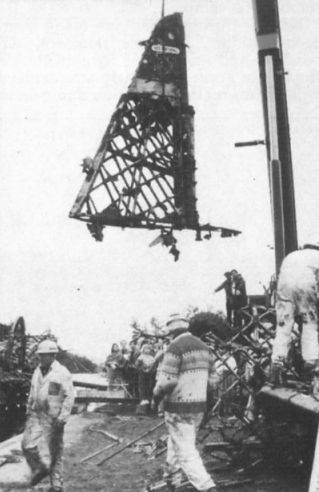 The tail section had broken away and was recovered separately on the following day. 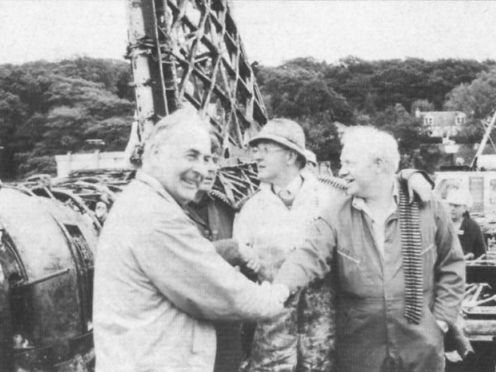 A knot of jubilant recovery team members, festooned with ammunition belts found in the aircraft. The chap in the hat is Robin Holmes. 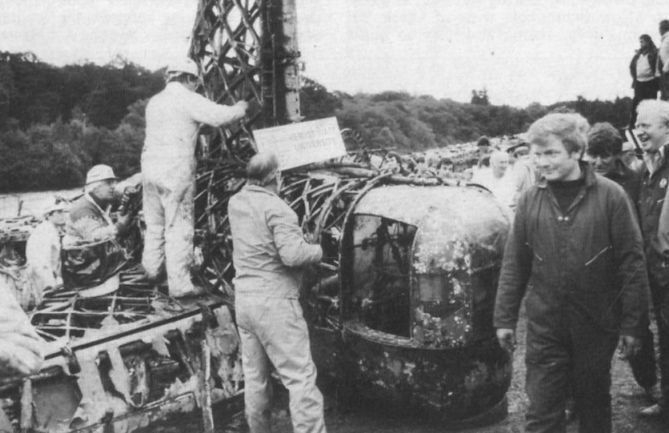 The Heriot-Watt University-based LNWA put their mark on N2980’s tail before dismantling begins. 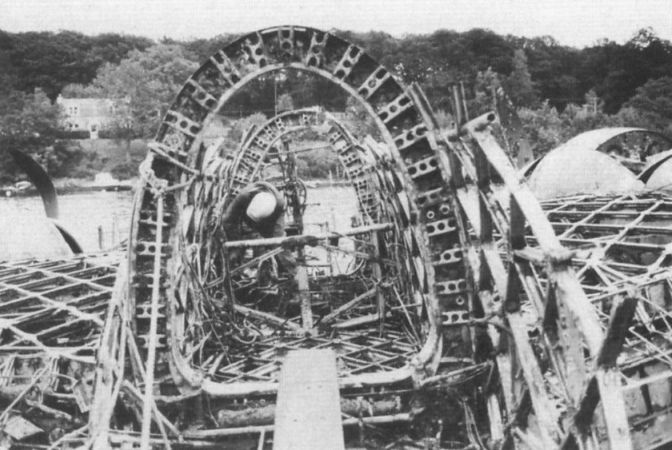 The forward fuselage structure, seen from just aft of the wing, is generally well preserved although the top has disappeared. 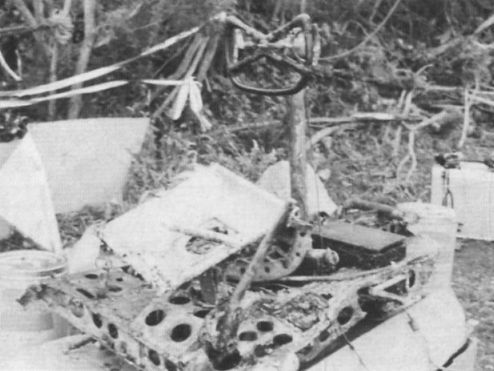 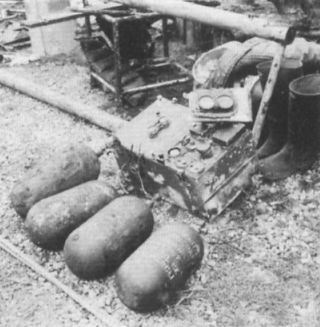 The remains of the pilot’s seat and control column. Oxygen bottles and the radio set are among items recovered with the aircraft - plus two more Wellingtons, to boot.